The Piper Malibu N264DB carrying Sala (28) and Ibbotson (59) was discovered off the coast of Alderney in the English Channel on Sunday evening - nearly two weeks after it disappeared. Footage of the plane was filmed at a depth of 220ft yesterday by a remotely operated vehicle from the Air Accident Investigation Board vessel Geo Ocean III. The image of the plane shows the rear left side of the fuselage, including part of the aircraft registration, N264DB. The wreck is now 67 metres deep in the English Channel. On Monday, marine scientist David Mearns, who co-ordinated the discovery of the plane, said it was "imperative" the aircraft was lifted to provide answers to the victims' families. They called off the search only after concluding that no one would be found alive. The mission, however, could be delayed due to bad weather and rescuers have discovered one body in the wreckage seen 220ft down - showing its blue and white identification number. 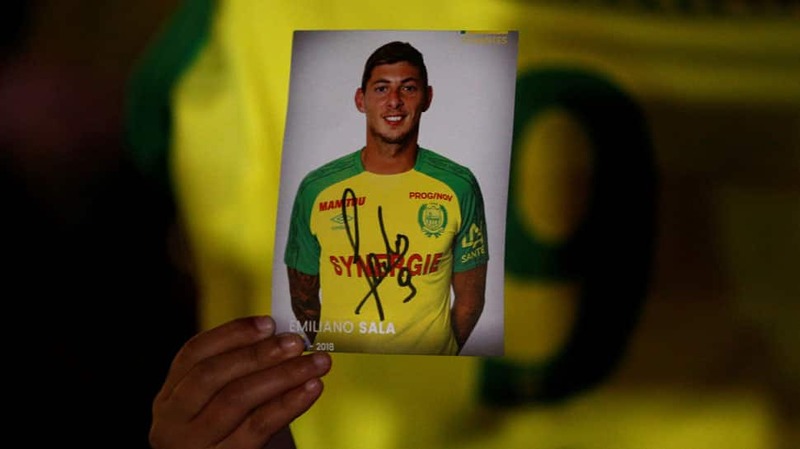 Football fans around Europe have paid tribute to Emiliano Sala. "We were told by the AAIB that they didn't feel that there was much to be gained".